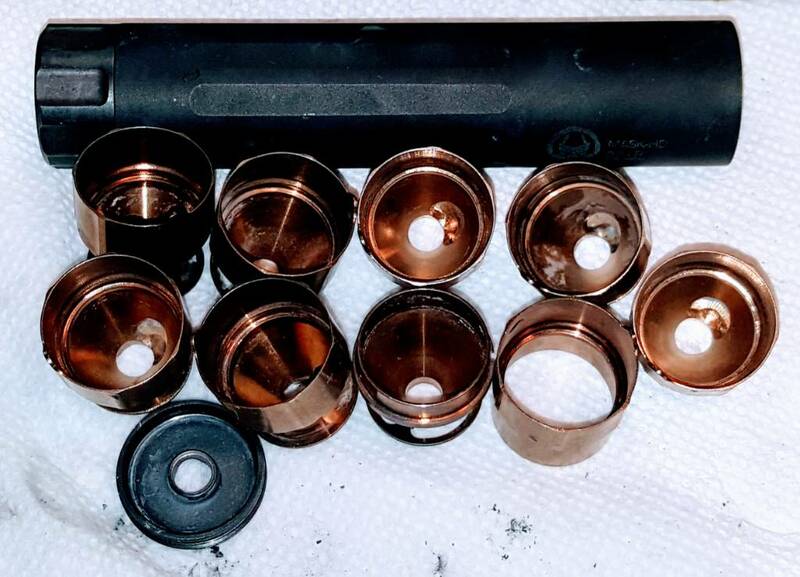 Rimfire suppressors get dirty. That is a well known fact of life that everyone that shoots 22 long rifle through a suppressor is familiar with. This particular Dead Air Mask HD has been used for over a year o n multiple host wespins. There is probably over 5000 rounds through it. 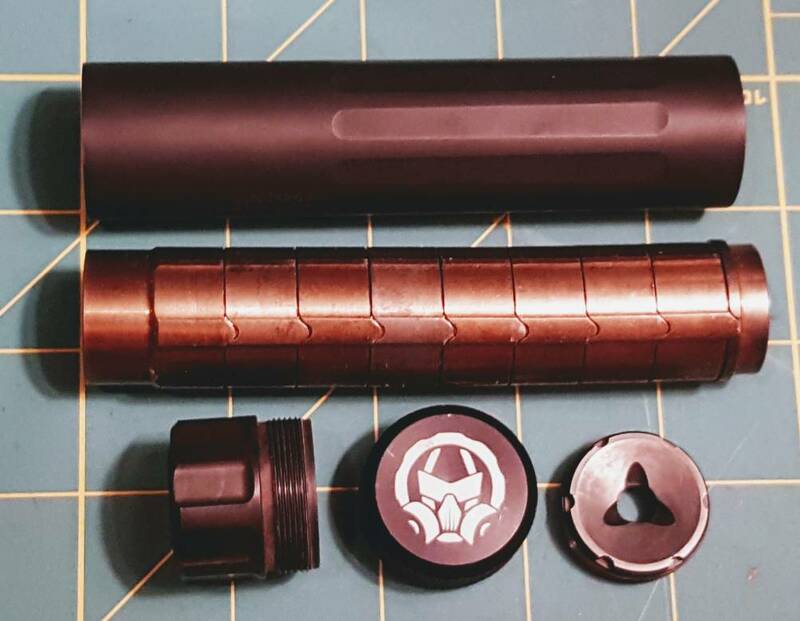 Its been used for demos with my wwwTexasguntrust.com clients, racoon hunting, my kids almost exclusively shoot the Dead Air Mask HD, whenever a friend wants to shoot, he genrrally gets this suppressor. 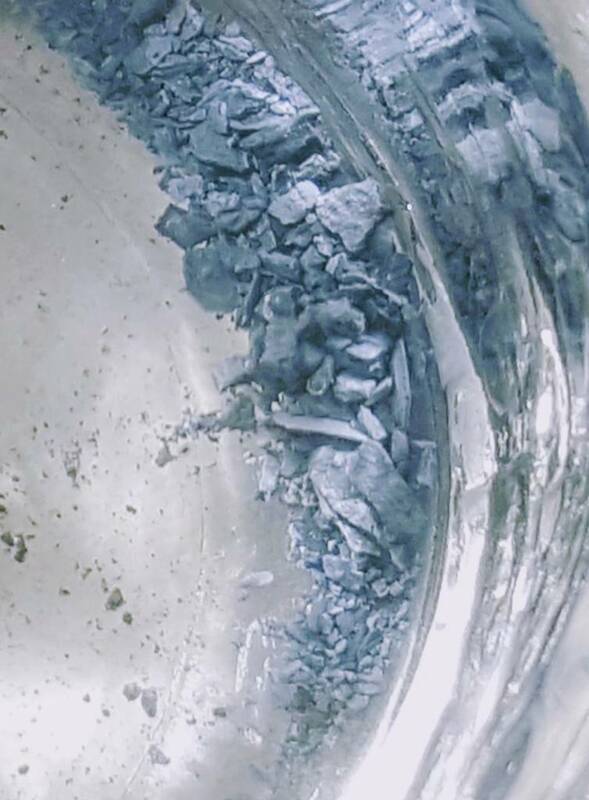 The build-up of lead and carbon is stunning if you have not seen it begore. 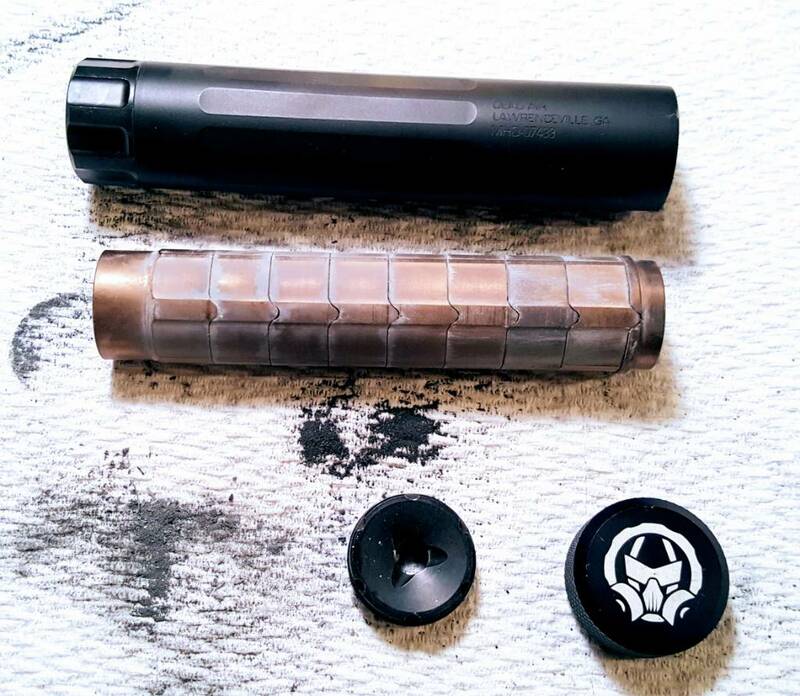 The fact that the suppressor came apart with a few shakes after this many rounds and this much build-up is a testament to the Dead Air Design team of Mike Pappas, Gary Hughes and Todd Magee. 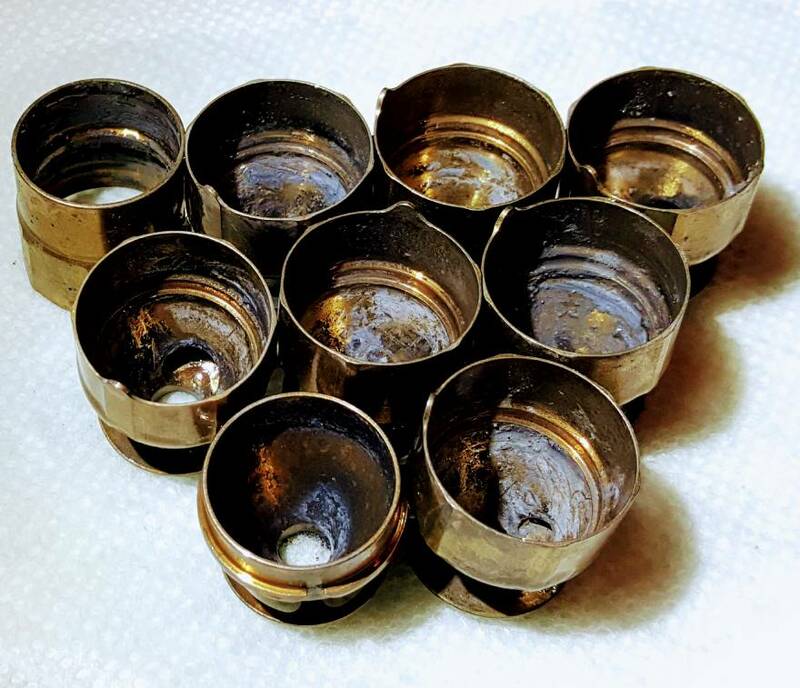 Once open, the baffles unsnapped and came apart into their individual pieces without any effort. 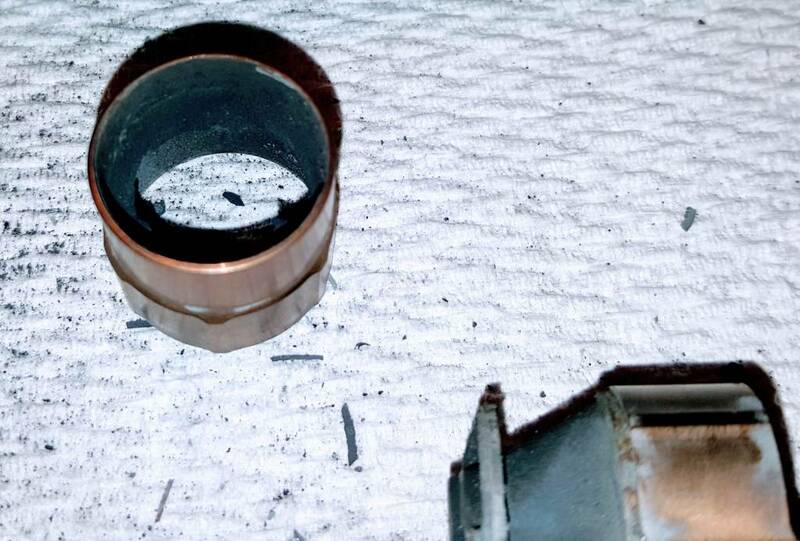 A couple of the baffles had so much build-up, that the build-up lookef like a damaged baffle. 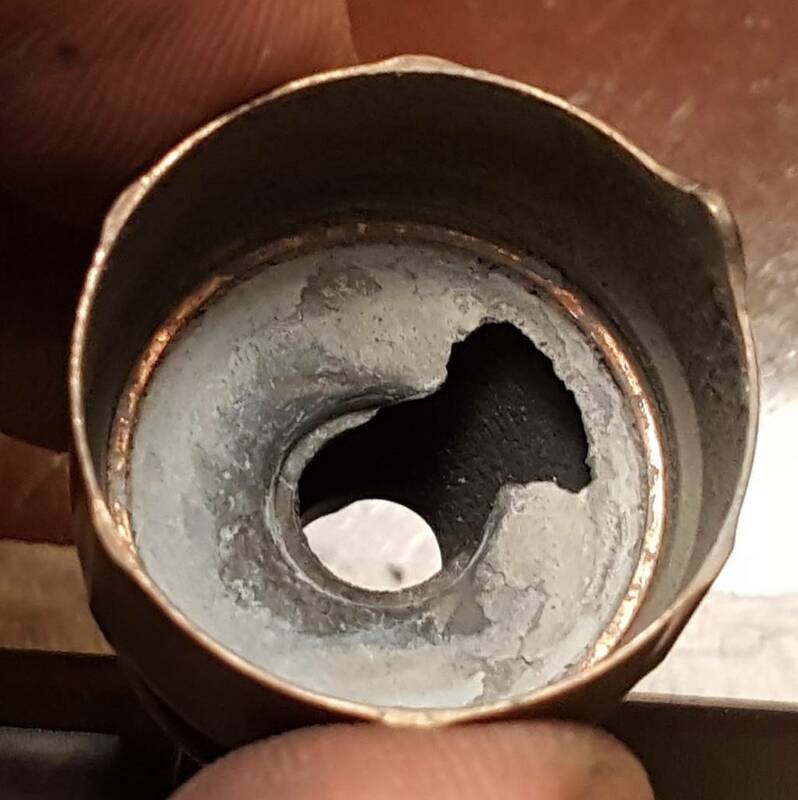 It took me a few seconds to realize that this wasn't a baffle strike that I was looking at, but the lead and carbon buildup that had molded itself into a mirror of the baffle ahead of it. 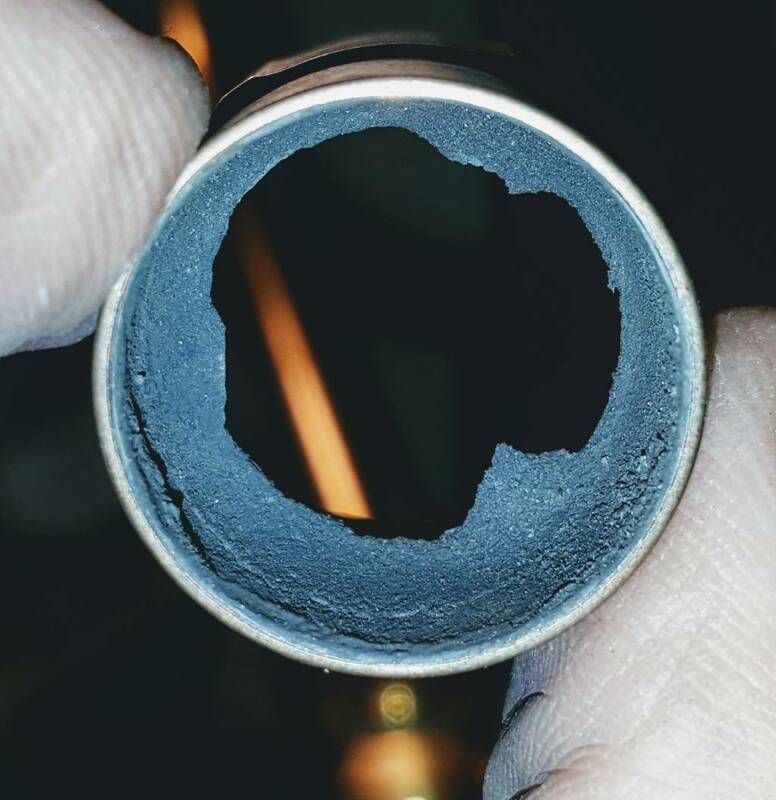 After a cursory inspection of the build-up on the baffles, It was obvious that the only way to remove the lead build up was with the peracetic acid solution commonly known as the dip. 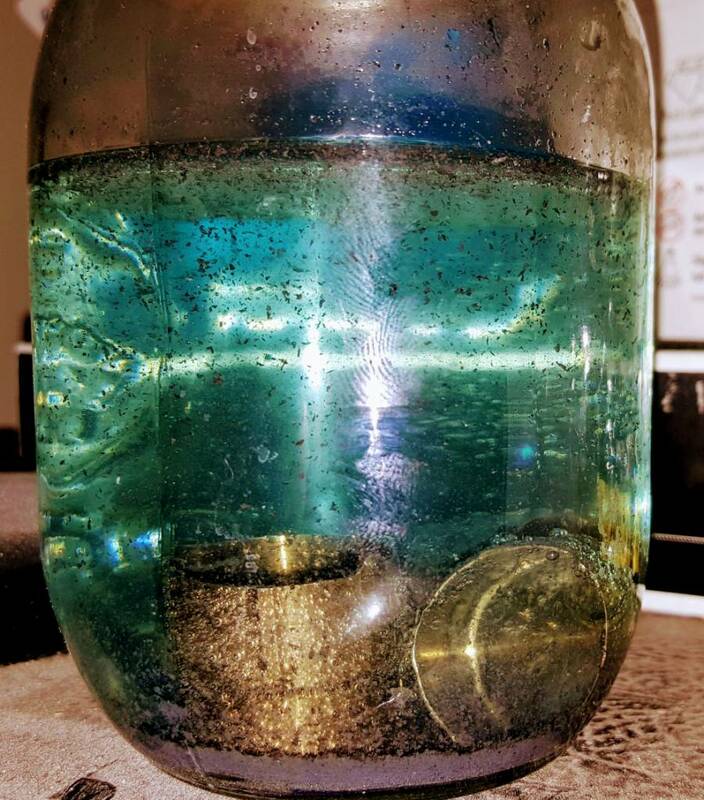 I prepared a solution of 50% white vinegar and 50% hydrogen peroxide in a mason jar. The Dead Air Mask He's front cap opened up easily. 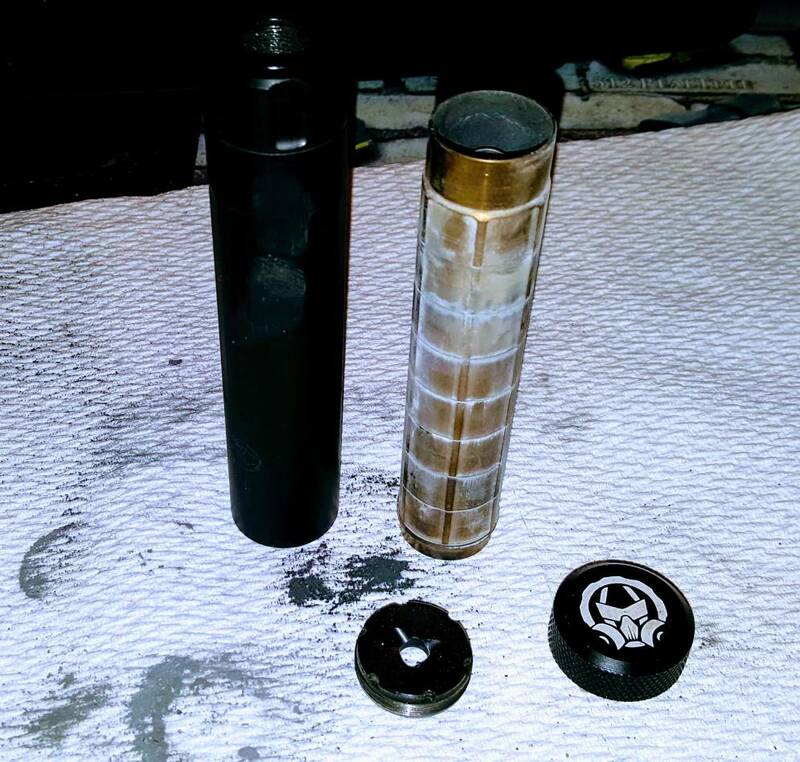 I was able to push the complete baffle stack out by gently shaking the suppressor and lerting it slide out. 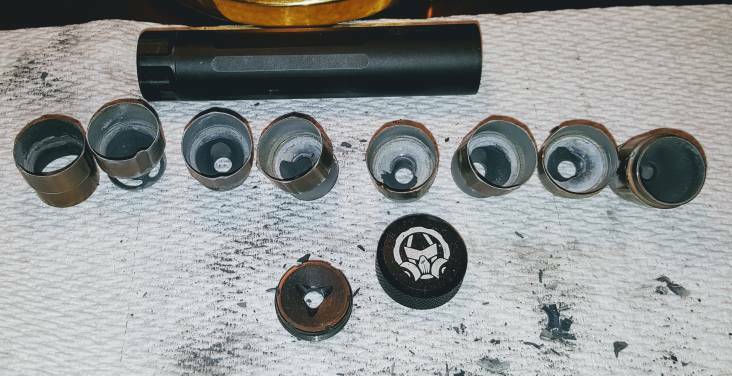 The fact that the entire baffle stack literally slid out after this many rounds is a testament to the design Genius of Mike Pappas and the Dead Air Mask HD engineering team. 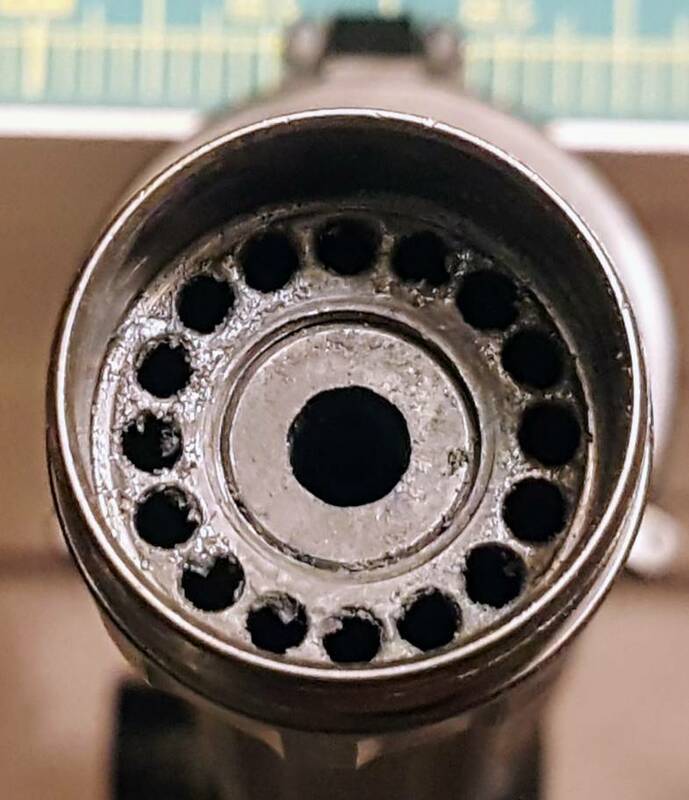 One interesting fact that I failed to notice until looking at these photographs is the lack of buildup on the outside of the baffle stack. 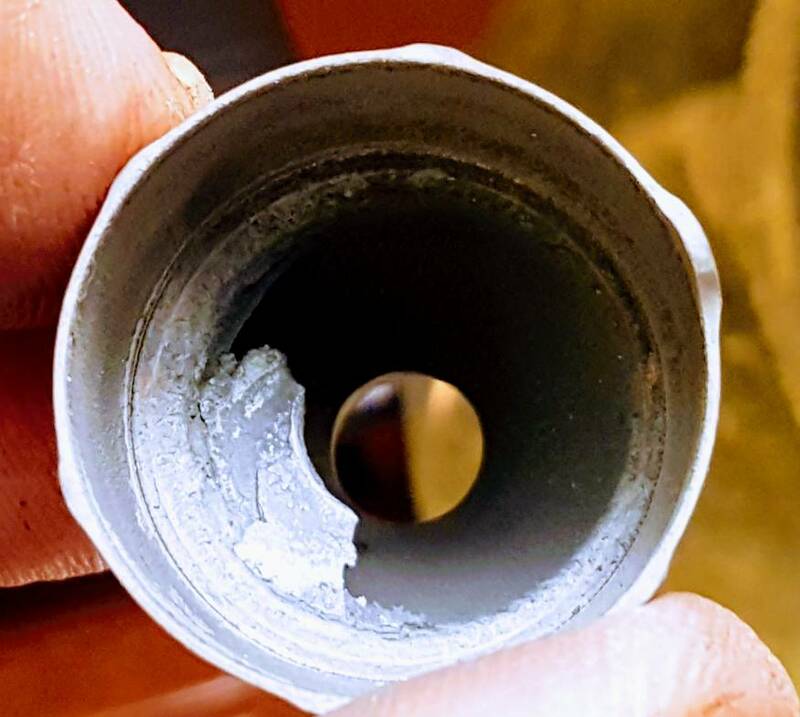 These baffles sealed together very tightly and did not allow leading carbon to build up between the baffle stack and the tube of the silencer. All the baffles are laid out for this photograph. 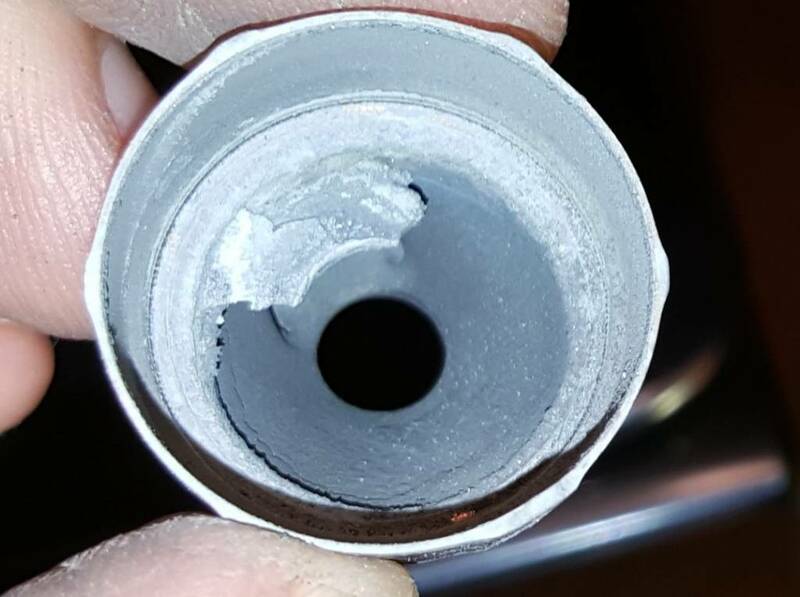 If you look you can see the build-up of lead and carbon in almost all of the baffles. The outside of the baffle stack is relatively clean and free of buildup. These baffles seal together very tightly. 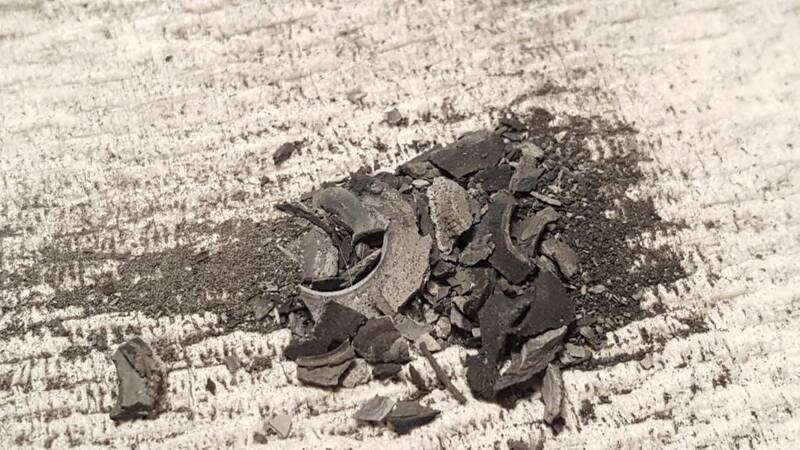 The blast chamber had a ring of material that had formed at the back of the blast baffle. This is one of the first baffles that I saw as I disassembled the Mask HD. When I saw it, my first thought was that the baffle was destroyed due to a baffle strike. In fact, when I showed this picture the other people there first responses were how did you break it? 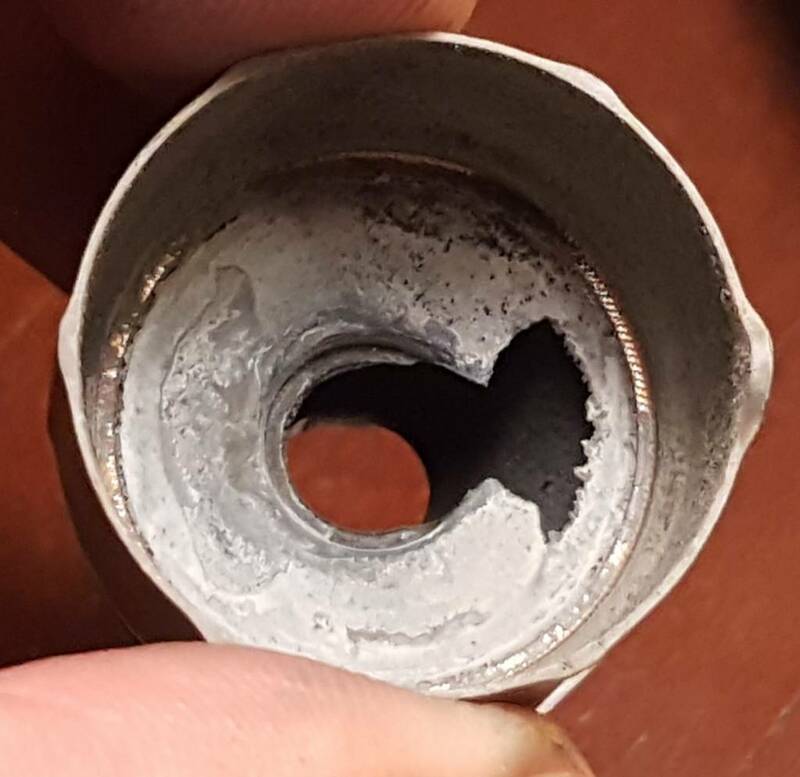 It is fascinating to me that the lead and carbon would build up in such a way that that lad and carbon are molded into the shape of the cone of the baffle in front of it. If you look closely, this buildup follows the shape of the rear of the baffle cone ahead of it in the stack. 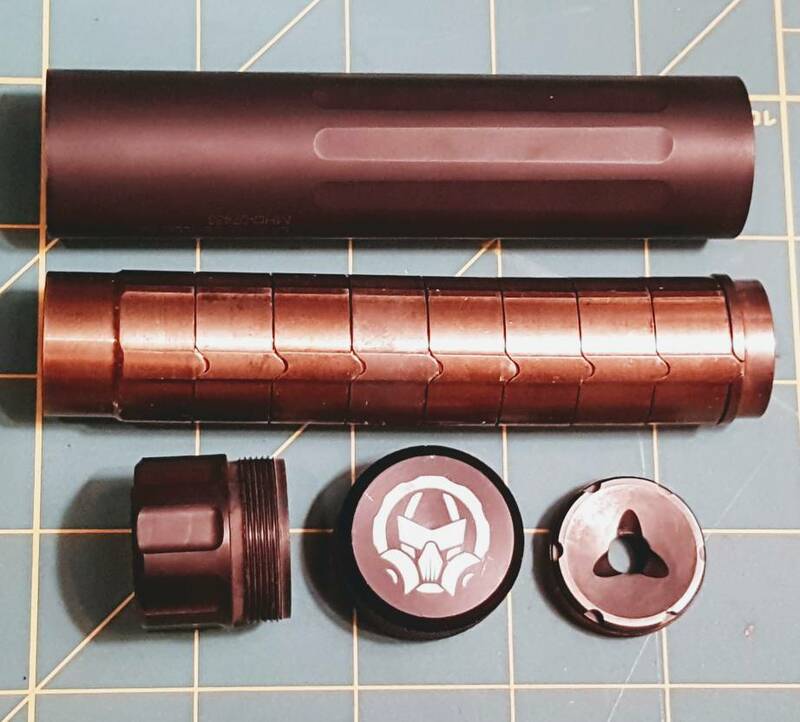 The amazing thing is the suppressor never got noticeably louder as this build-up occurred. 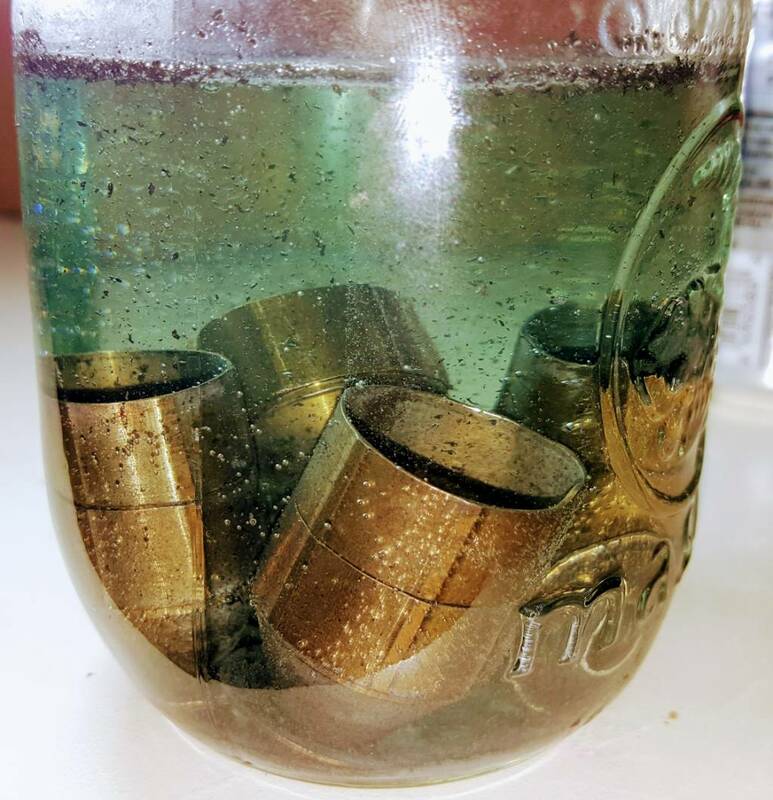 I soaked the baffles for 16 hours in the peracetic acid solution aka the dip. 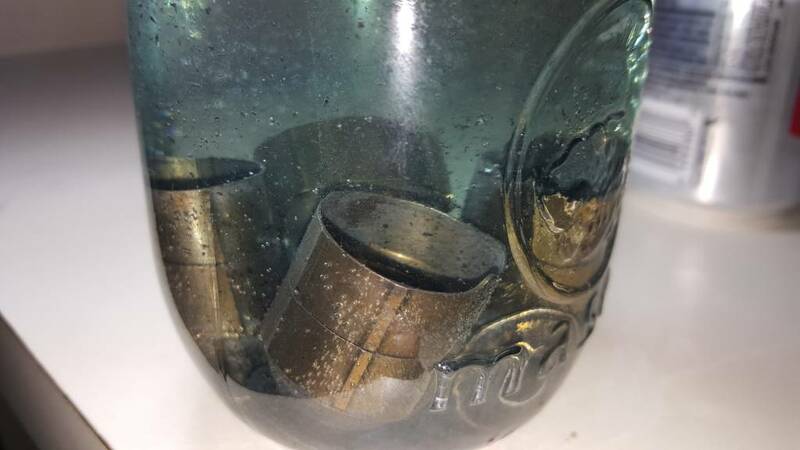 You can see the amount of lead and carbon that came off of the baffles during this process. 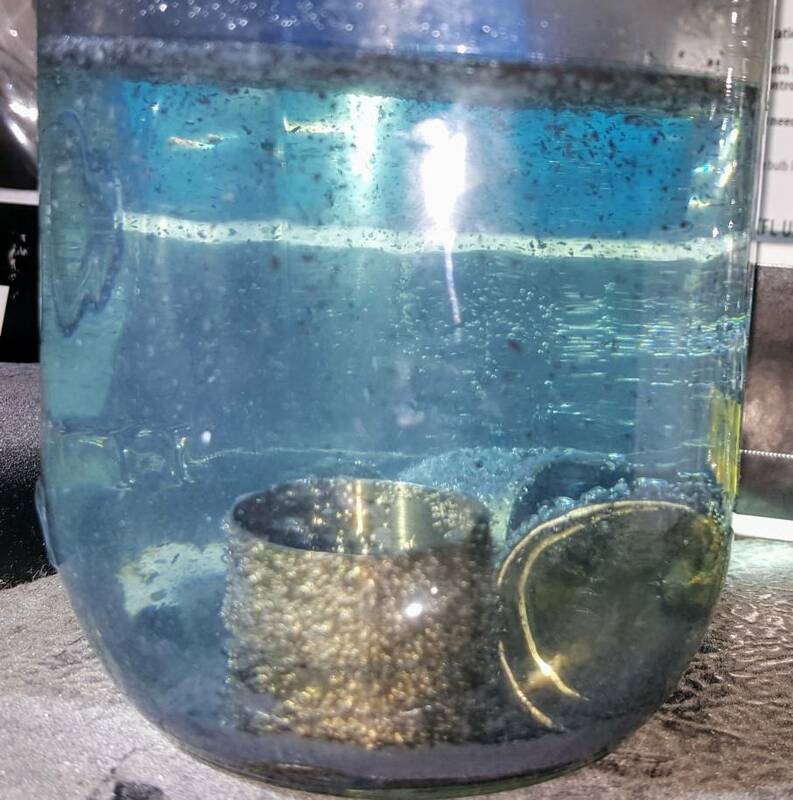 The baffles look far different than they did 16 hours ago when they were placed in the peracetic acid (tyhe Dip) solution. There is lead and carbon residue left on the baffles. It is much softer than it was in it's dry and solid-state 16 hours ago. 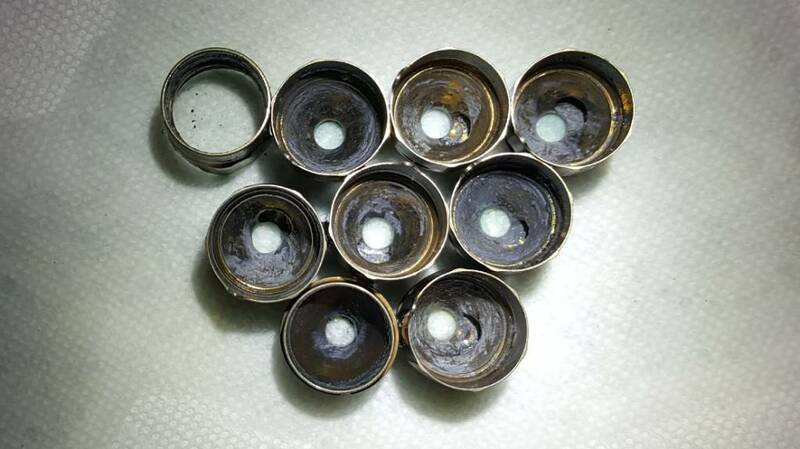 After removing the baffles from the peracetic acid solution aka the dip, io rnsed then in fresh water, donned gloves and used a small screwdriver to scrape most of the remaining deposits off of the baffles. 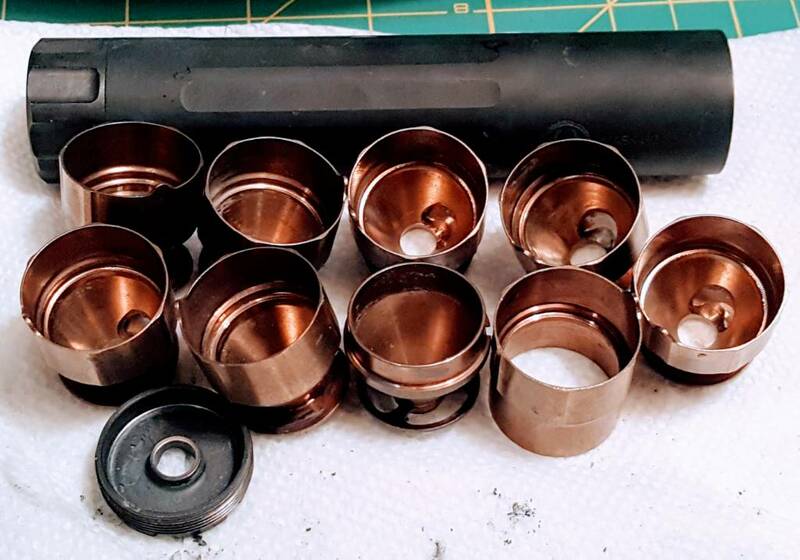 After a 16-hour bath of the dip, a rinsing wash,, a run through the ultrasonic cleaner, and manual scraping, three baffles still had some deposits that would not come off. It was time for another few hours in the dip. 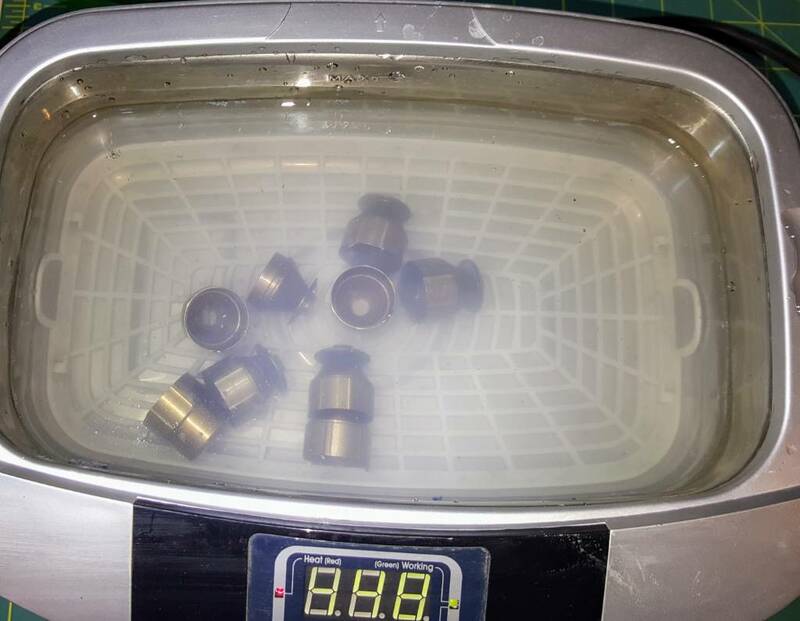 These three baffles were dropped in the peracetic acid solution for another three hours and run through the ultrasonic cleaner again. These photos of the baffles show the difference that 24 hours, A long soak in the dip and some physical effort make. The mask is as new. 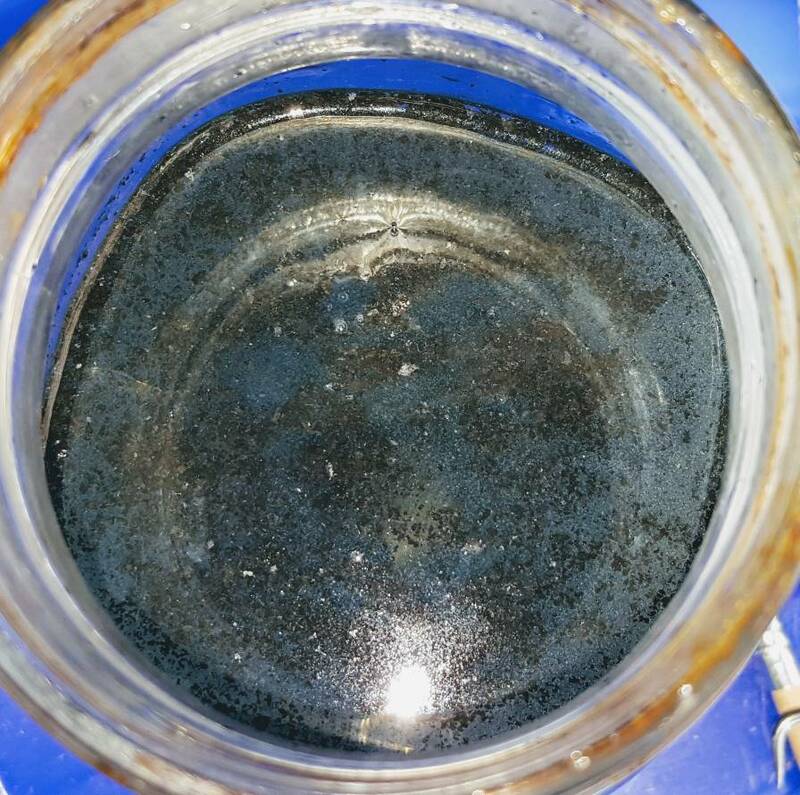 The only downside to using the peracetic acid solution AKA The Dip is the fact that I now have a mason jar full of a highly toxic substance called lead acetate. The disposal requires some special precautions. You cannot just put this in the trash or dump it in the sewer. would The Dip damage the interior of your sonicator? 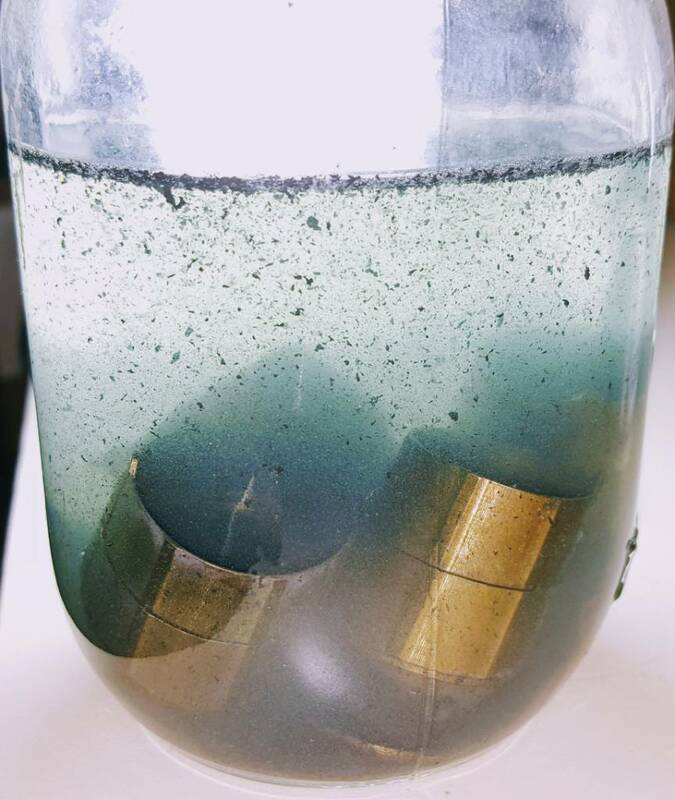 it seems like it would make a decent solution for the ultrasonic cleaning cycles,what do you normally use for the solution? when i use mine to clean whatever i'm cleaning at the moment i usually either use h202, or ethanol, or plain h20 depending on the offending gunks solubility. acetic acid will dissolve aluminum if i remember correctly, so i guess you could drop a few drops of it and see if it gets fizzy. 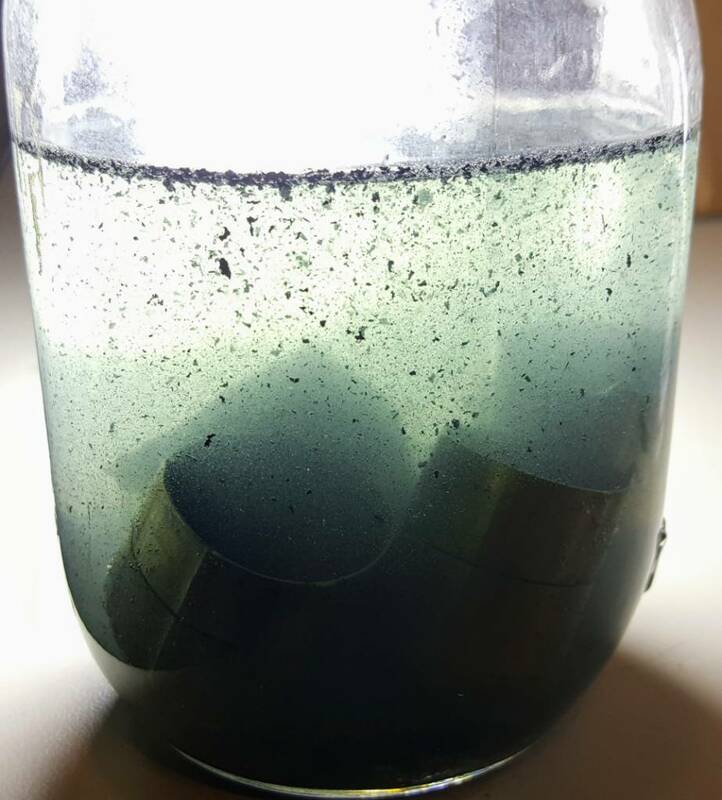 I have READ that SUPPOSEDLY you can sequester the lead by mixing salt into the solution, but that is UN verified. I'd suggest some deep research PRIOR to even starting the process with the acetic acid.